It's warming up just a bit, the sun is a little higher in the sky, and our Sail Chicago members are starting to think about getting out on Lake Michigan again. But before that can happen we need to prepare our fleet for launch. This will take a lot of work from our maintenance teams and from many other folks in our membership who pitch in to help get the boats ready. Maintenance work can yield a better understanding of how sailboats work. I remember when I was a newer Sail Chicago member, being part of a maintenance team was the easiest way for me to fulfill my annual service requirement. It taught me a lot about the technical aspects of the boats in our fleet, and it also helped me to meet many new friends in Sail Chicago whom I later sailed with during the summer. If you're looking for a way to meet your annual service requirement, I'd suggest that you consider joining a maintenance team. I hope you have as great an experience as I did. I attended the Sail Chicago Annual Meeting this past Thursday, and I was again impressed with the dedication of our Sail Chicago Board and with the members who head up our various activities during the sailing season. From their reports during the meeting, it looks like will have another exciting season to look forward to, with many program innovations. More information on these will be coming in future issues of Between the Sheets and other email announcements. Watch for them. SIGN UP FOR A PRE-SAIL ORIENTATION NOW! Registration is now open for Sail Chicago's Pre-Sail Orientations. The Pre-Sail Orientation gives you an introduction to the sport of sailing and Sail Chicago. You'll learn how to prepare before going sailing, brush up on sailing terminology, equipment, safety rules and emergency procedures (especially as these pertain to our group rules), and ask questions before the Sail Chicago season begins. First-time students who've enrolled in our classes will receive US Sailing handbooks and handouts, and an orientation. This class is mandatory for all new members and students! A number of dates are available. To register, click here. On Thursday, March 1, over sixty Sail Chicago members and friends gathered at the Chief O'Neill's Pub and Restaurant to enjoy a meal together, to review the prior year's activities, and learn of new plans and programs for the coming sailing season. After Chairman Chris Schuler called the meeting to order and gave a brief summary of last year's activities, Treasurer Martin Modahl reported that Sail Chicago ended a successful financial year with a strong balance sheet and a healthy net income. Sarah Wirth outlined upcoming social events for the summer sailing season, Matt Stuczynski detailed plans for the instruction program and reviewed the new "wind guidelines" recently approved by the Board. Maya Teleki discussed the expanded Colgate racing program now in its fifth year, Bob Lapin shared his excitement about the many upcoming events in the Cruising Program, and Joe Cannon outlined new goals for the maintenance program. Four Directors whose terms had expired were again elected to fill new three-year terms. They are: Joe Cannon, Frank McNamara, Martin Modahl, and Maya Teleki. Many members lingered after the meeting was formally adjourned to socialize and make plans for the upcoming sailing season. Frank McNamara is the new Service Time Coordinator. His contact email is volunteer@sailchicago.com. If you have any questions about last year's service time, please contact him and he will forward on to me. Right now, we are actively looking for members to help with maintenance and getting the boats ready for the season. The harbor generally opens on May 1 and we are the first boats in the water so our May classes can start in a timely fashion. That means, when the weather turns nice, we start working on the boats in the boatyard. Regardless of weather in April, we are at the boatyard every weekend. Sometimes it's a challenge, but it always gets done with the help of our volunteer members. Boat teams also need to be filled. Boat managers are currently verifying who of their team is returning, and confirming when their teams will meet. This updated information will be posted on the organizational chart as soon as we know it. We are also looking for members to participate on our social committee. It's a fun job and a fun way to meet other members. The social committee plans a few parties during the year, usually at the Weather Mark; a picnic with boat rides for family and friends; and our end of the season dinner at the Columbia Yacht Club. Please let us know if you'd like to help out. We do not require service time of first-year members, but they are always welcome and encouraged to help out. It's a great way to meet new sailing friends. Second-year members need to sign up for a job to get their service time satisfied on the website. Then, they need to do that job for year 3 and so on. It's a "pay it forward" system. Service time is job oriented. Some jobs take more time than others. But, basically, we ask members to come out 5 times to complete their service time. For Example, 5 times at the boatyard, 5 Tiller Times, 5 Member Cruise outings, etc. Some Jobs also get sailing credit. Each year U.S. Sailing sponsors a Leadership Forum. It's an opportunity for the leaders in a variety of sailing organizations, yacht clubs, community sailing programs, sailing schools, etc. to get together to share ideas, learn from one another, and develop community ties. This year the Forum was held in St. Petersburg, Florida, January 31-February 2. Sail Chicago has traditionally helped to send up to three Board members to the Forum. This year, Bob Lapin was one of them. Bob has completed a report on the Forum to the Board which you may find interesting. To view it, click here. If you'd like to get a taste of what else happened at the Forum, click here. Joe Cannon is our new Maintenance Coordinator. He's responsible for seeing that our fleet is prepared for our upcoming sailing season and that our boats are kept in good working order throughout the summer and fall. In this role he's come up with many excellent ideas about how our Sail Chicago community can make maintaining our fleet more productive and fun. To read more about his plans, click here. Racing season will be here before you know it. Running from May 30 to September 29, Columbia Yacht Club will once again be graciously hosting us for a season of Wednesday night races and the always-favorite, after-race buffet dinner and beer. This year's season will see the addition of new Colgates being purchased by Columbia to add to the competition. Those interested may choose to participate in the Colors Regatta this year, hosted by Columbia, on June 2-3 as well as the Verve Regatta in late August. For more on the Colors Regatta, click here. We are also announcing that Sail Chicago member Cait Larson will be taking over as Racing Coordinator this season. Cait has been a regular at Sail Chicago's Wednesday night races for the past two years and has done the Verve Regatta twice as well. Nothing makes you a savvy sailor faster then racing! Come learn to fly a spinnaker, develop your ability to make quick, seaman-like decisions, and, maybe, create some truly interesting life stories. 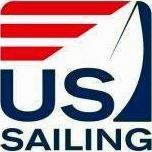 We are happy to announce that the Sail Chicago Board has voted on an initiative for all Sail Chicago instructors to become US Sailing Basic Keelboat Instructor certified within three years. The rationale for this is simply to strengthen the general knowledge, skill and experience base as instructors, but also to better align us with US Sailing requirements and standards. The Board will do all it can to help support our instructors in this process. In order to back this effort, the Board will now reimburse Sail Chicago instructors for the full cost of the course upon completion and with a commitment to teach for Sail Chicago. The Board will also cover Sail Chicago instructors' BKI Re-Certification fees. I am happy to announce that Basic Keelboat Certified Instructor, Monte Lewis, will coordinate this effort. Monte will help support our Instructors by coordinating training and keeping track of where instructors are in the process. Monte is an accomplished and experienced sailor and Sail Chicago Instructor who is a relatively recent BKI course graduate which makes him ably familiar with the course and the requirements to pass it. For those interested in knowing more, here is a link to the requirements to pass the course. Thanks to Sail Chicago member Ed Schroeder for this timely advice. The Sail Chicago Board met at the offices of Morningstar, 22 W Washington, on Thursday, February 8. Chris Schuler and the Columbia Yacht Club are in discussions to purchase a small boat with engine to help fuel and support our fleet. The Board approved a budget of $4,500 to support the certification of Sail Chicago instructors. Sarah Wirth announced the social calendar for the 2018 season: the annual meeting is March 1; the season kickoff social will be on Saturday, May 19; Happy Hours will be June 21, July 19, Aug 12, and Sept 13; the picnic will be Aug 18; and the Awards Banquet is scheduled for Oct 12. The next meeting will be held at 7 p.m. on March 8 at a location to be determined later. Need information on an area in Sail Chicago, but don't know who to contact? Find that person in the Sail Chicago Organization Chart. Purchase gear with the Sail Chicago logo on it. Caps, shirts, pants and other gear are available. To shop now, click here. 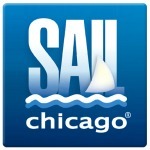 Keep up to date on the events and activities of Sail Chicago and the Chicago sailing community. Read the sail Chicago blog on a regular basis. You can find it on the Sail Chicago website under "News." You can always find the current issue and an archive of previous issues of Between the Sheets at the first (and open to the public) page of the Sail Chicago website. Look under "News/Newsletter." Click on the links below to find more information about Sail Chicago.